If you’re big into video games, you know there’s nothing better than sitting down to play the latest release with your friends for the first time. With the upcoming new releases later this fall, we want to help you build out the ultimate video game room. If you’ve got a small space that makes your game room also your living room, you might have to tone down the LED lights, multiple screens, and massive couches. Here is our shopping list for a small space game room. If you don’t already have a TV or you’re looking to upgrade, Forbes released a list of the best TVs for gaming. Your choice will most likely be based on personal preference, size of TV, and budget. 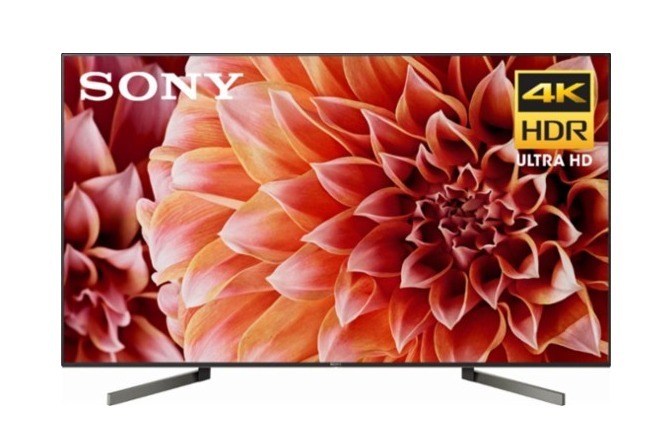 We chose a Sony 49” X900F Smart TV. Retail $1,099.99 USD at Bestbuy.com. The wider viewing angle, higher HDR brightness, and large app selection made our choice on this Sony TV an easy one. We went for a 49” that we’re going to mount onto the wall with a full motion TV mount. 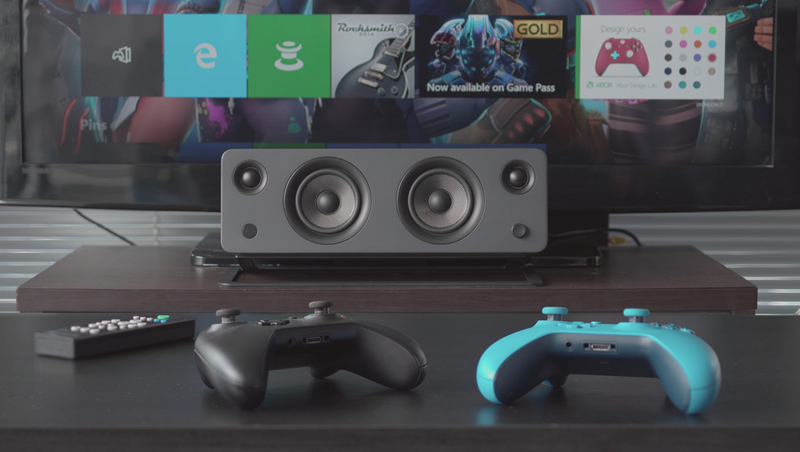 Great sound keeps you in the game and sometimes a subpar soundbar can let you down. 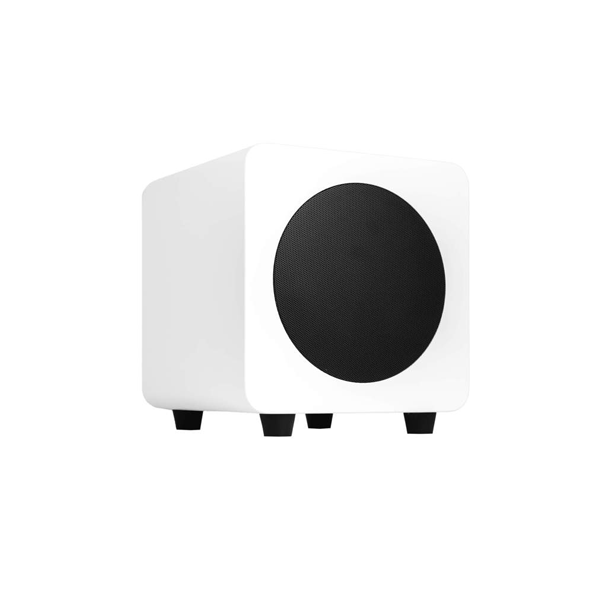 Amp up your sound with a SYD powered speaker. Available in four colours to suit your style, SYD comes with built-in Bluetooth, letting you easily switch to Spotify if you need to have a mid-sesh music break. For the vinyl collectors, a built-in phono preamp also lets you listen to your favourite records. Kanto SYD powered bookshelf speaker with built-in phono preamp. Retail $329.99 USD. Want to add a little more punch to your music set up? Add a sub6 powered subwoofer. Don’t let the small form factor fool you, this 200W sub lets you really feel those rumbling explosive scenes. Choosing a couch is another tough decision. Personal preference and style play a big part in which couch or chair you’ll want to choose. Always factor in proper back support and remember to have something to rest your feet on. We chose this light grey couch from Article paired with a lift top coffee table from Wayfair. Article’s Haro Vapor Gray Sofa. Retail $2000 USD on Article.com. This sofa is classy and comfy. With its rounded corners and thick bottom cushion, you’ll be able to sit on it for hours. With a lift top that reveals a ton of storage for all your gaming controllers and extras, you can easily enjoy a meal in front of your TV. Adding storage into your coffee table helps keep your room organized and clean. Speaking of storage, buying a TV stand that can also hold as much as possible is a must for small spaces. No room remodel shopping list is complete without a trip to IKEA. 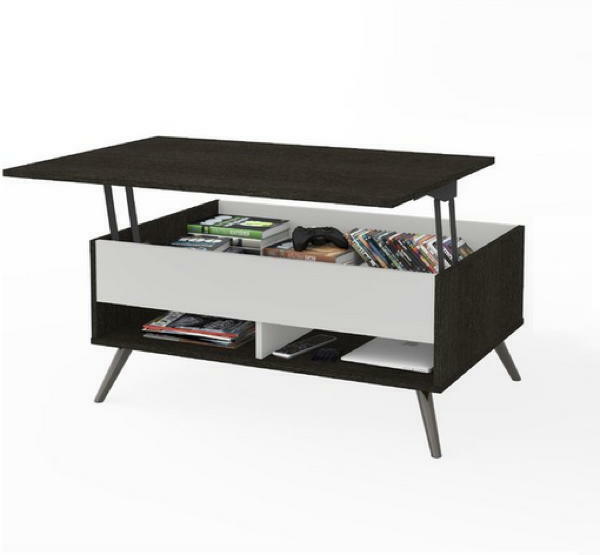 The Hemnes line from IKEA offers a modern take on a classic style and offers storage to boot. 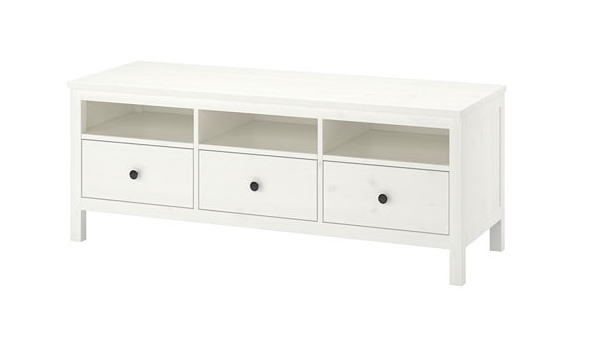 Hemnes TV Bench, white stain, light brown. Retail $199.00 USD on IKEA.com. The all white finish ties in nicely with the white on the coffee table and the drawers hide away extra cables and whatever else you don’t want to leave lying around. 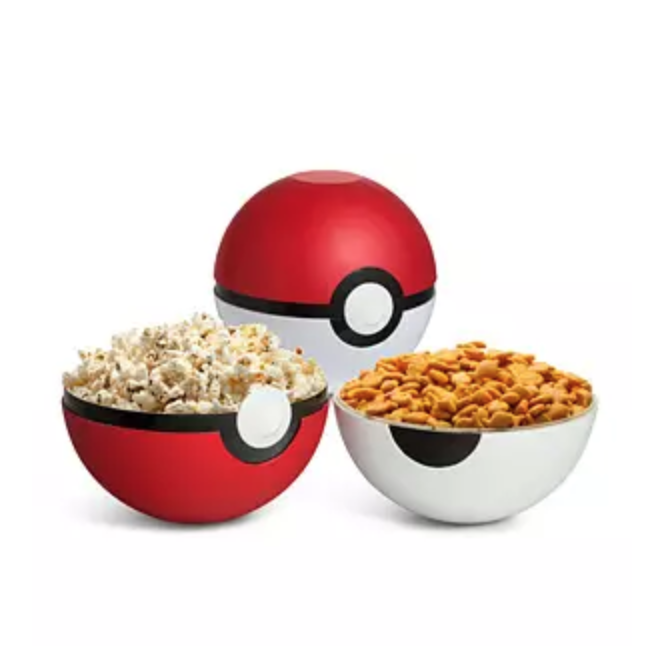 Snacks are key to a good gaming session. 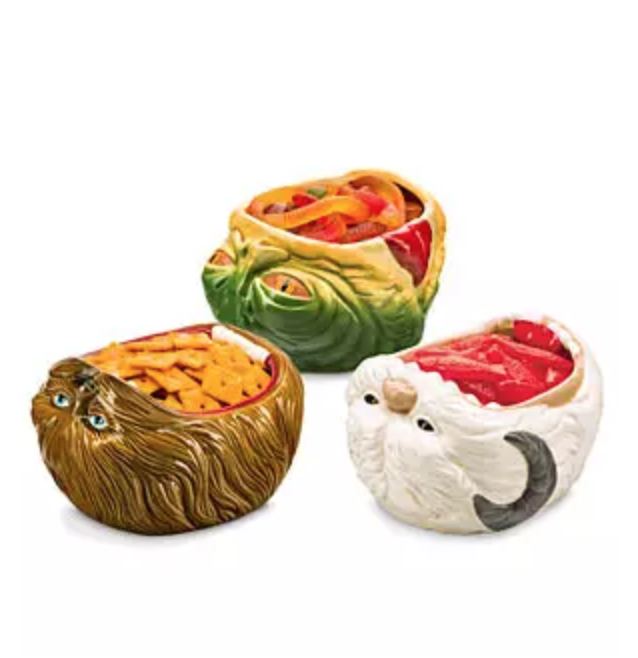 Keep the chips coming with these amazing bowls from ThinkGeek. 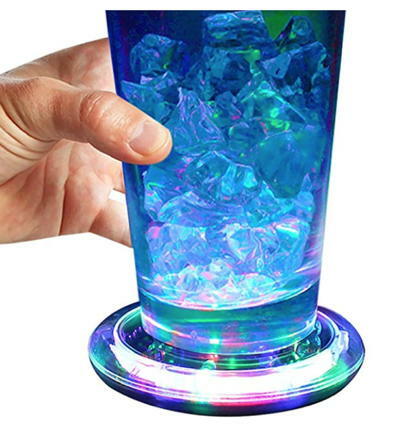 If you just have to have the bright glow of an LED light strip, try these coasters instead. Lot of 6 Flashing Panda LED Light-Up Flashing Multi-Color Infinity Tunnel LED 3.75 in. Drink Coasters/Display Bases. Retail $14.94 USD on Amazon.com. Now that our gaming room is set up, we need to decide which game to play. Take our polls on Facebook to help us decide which one we should tackle first.